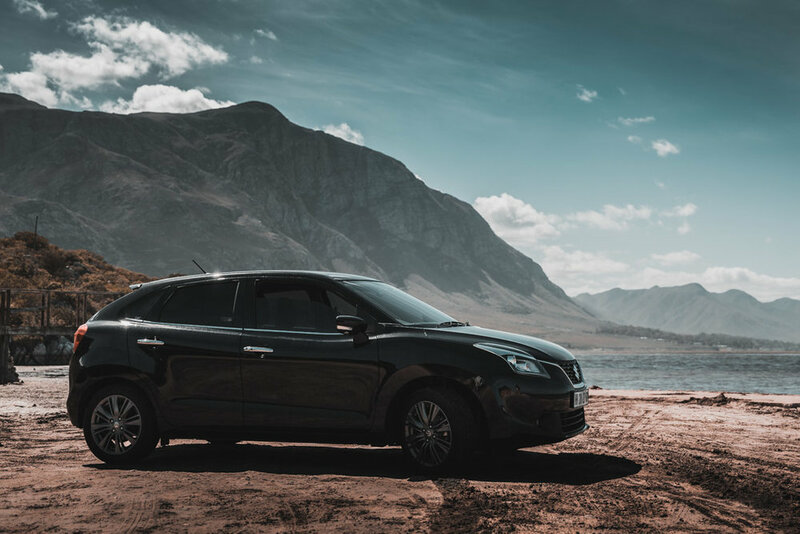 Adventure & Product Blog - Suzuki Baleno, feel the lifestyle. 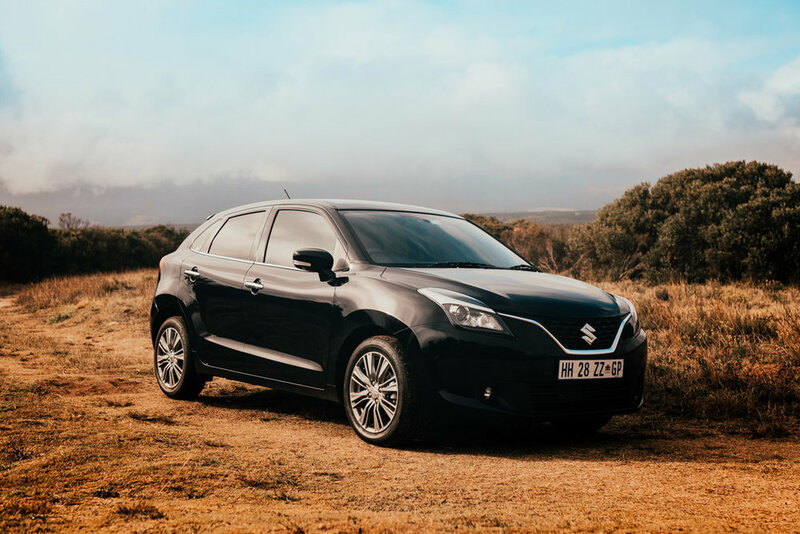 The awesome crew from Suzuki Auto gave us at We Are Adventure the Baleno 1.4 GLX to take for a test drive, and boy, were we hard pressed to give this car back to them at the end. We had a limited edition black automatic beauty at our disposal and we took full advantage to make the best of our short time together. 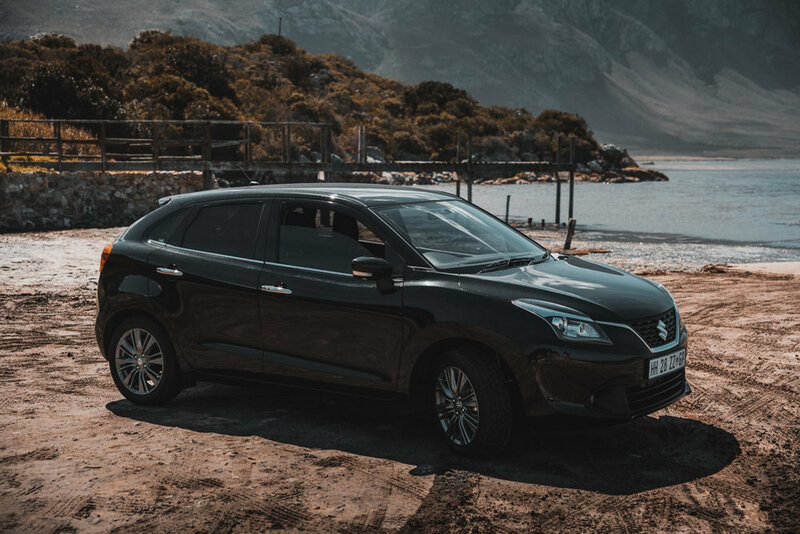 Suzuki describes the Baleno in three words: Energy. Harmony. Perfection. Having spent some quality time with this car, I must say that it's a pretty spot on description. As far as hatchbacks go, this new kid on the block is going to disrupt more than a few tail-feathers. Like for like, if you compare this car with others in its class, this one gets an A. The design is slick, modern and spacious and best of all, the interior luxuries make this car incredible value for money. Actually, scrap that A, this car is an A+. 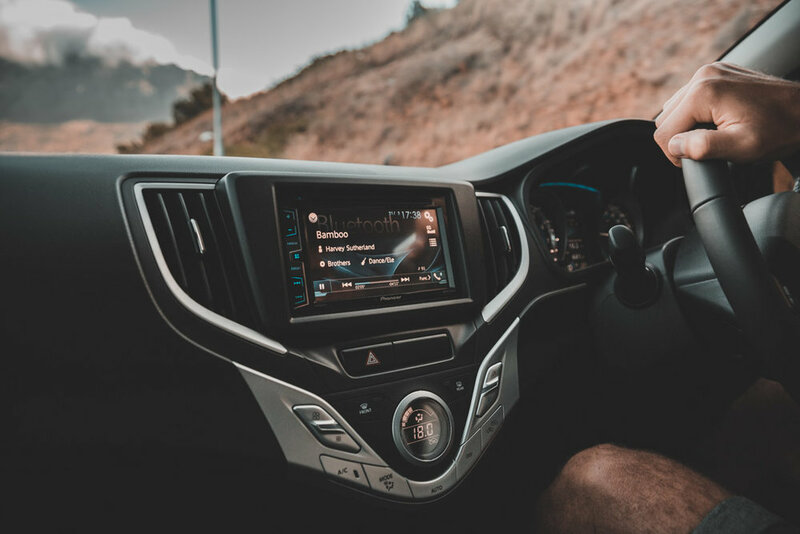 We went on a short round trip in and around Cape Town to get a feel for how this car operates in the city, but being us, and not wanting to let this opportunity pass us by, we took our new travel companion for a weekend trip to Gansbaai. With 4 adults, overnight bags and our furry friend the car still felt spacious. The boot space is pretty impressive and the ladies at the back had plenty of leg space. I've got a confession to make - I am not used to a digital dashboard, infotainment system and steering wheel controls so I was like a kid in a space ship. I'm not going to lie... I was living my best life driving this car. It felt like I've arrived man! (maybe that has something to do with the navigation panel). Seriously though, this stuff was next level - Bluetooth, keyless starting, HID projector headlamps, LED daytime running lights as well as cruise control... this car has it all! The 1.4 GLX is super nippy and the automatic gearbox is something I could get used to... gone are the days of clutch control people. (why did no one ever tell me how amazeballs automatics are?!) 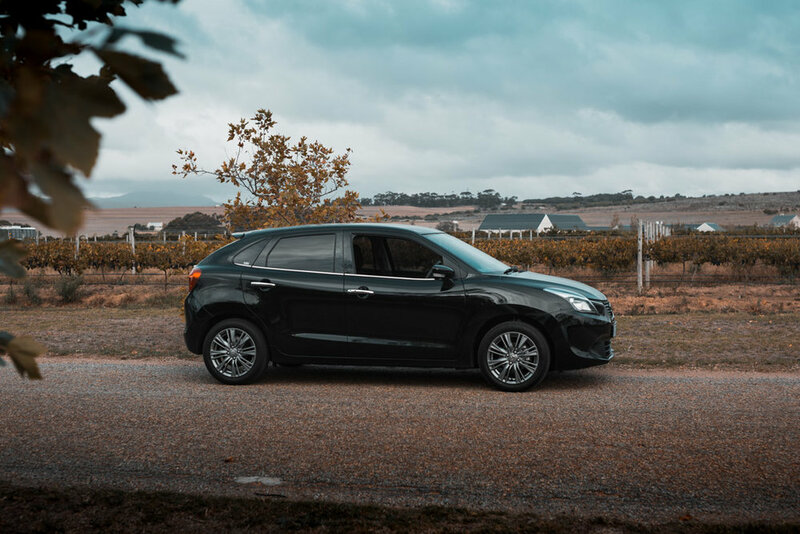 The Baleno sits well on the ground, even in gale force winds - thanks Cape Town for ensuring that we tested that attribute in full... I kid you not, the lenses literally blew out of my sunglasses on that day. True story. All round, this is a smooth ride, which made me look like a smooth operator, which doesn't happen often, so I was thrilled. 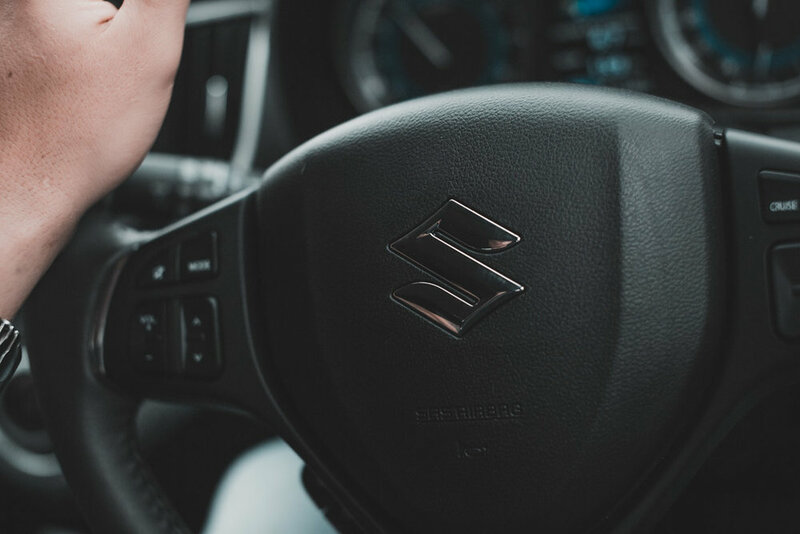 Suzuki has proven once again why they are so popular in South Africa - the models they are rolling out speaks to their target market and the innovation and VALUE is most impressive. If you are looking for reliability, space and safety, then this is a fantastic choice. To be honest, I am hard pressed to find anything to critique this car - I seriously considered taking this car across the border, and into the city, finding a job and finally see what it means to be living...oh wait, that's a song, but this car, it's a fast car and it's a good car. You can't go wrong! The GLX AT edition is the top of the range model and offers all the extra bits and pieces which really offer good value for money, as I've mentioned all ready only about a hundred times. That is how strongly I feel about this. It's a car for every day commuting in town, it's a car for weekend getaways and it's a car for the open road (where the cruise control comes in handy). If you haven't gathered thus far, it's also a car I love! You can review the full specs comparison between the three models available here.